Delicious deep fried foods, fast and easy. Saves money on oil! Uses just four cups of oil to make four big servings. Stores oil to use again and again. No controls to set! 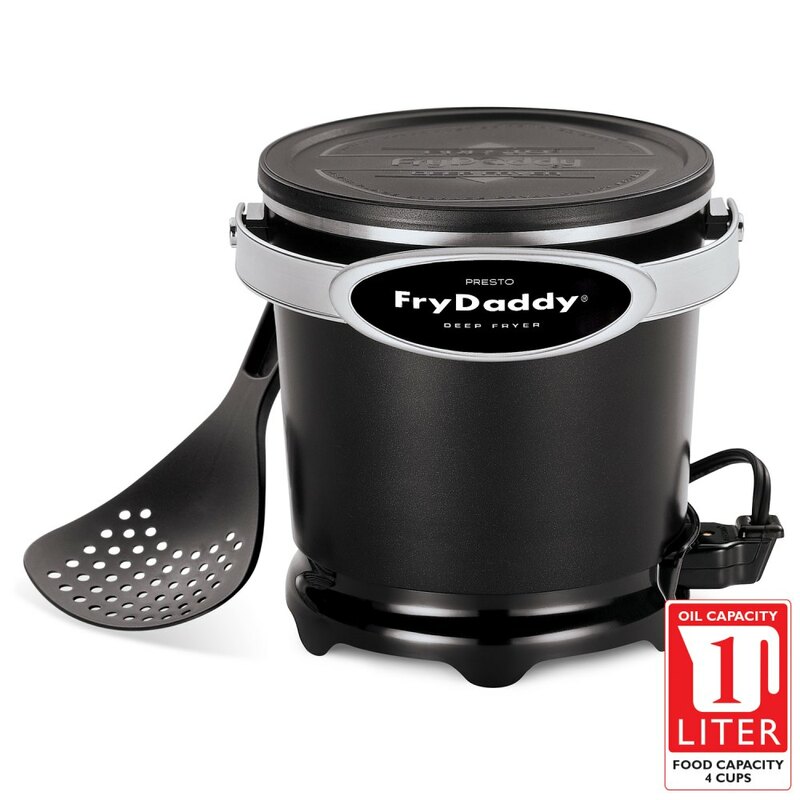 Maintains the perfect frying temperature automatically. Crispy, crunchy deep fried food! Delicious french fries, shrimp, chicken, onion rings and more. Handy scoop lifts, drains, and serves. No messy basket. 120 volts AC, 1200 watts. Saves money on oil! Uses just four cups of oil to make four big servings. Snap-on lid stores oil without spills or odor.